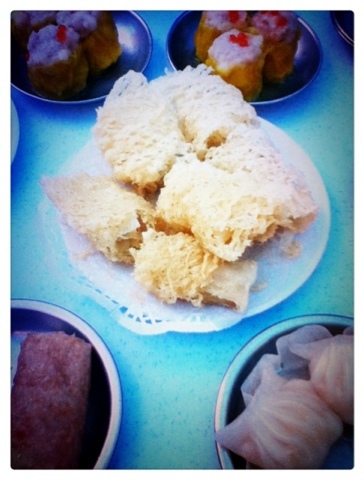 Woke up quite early this morning and decided to have dim sum for breakfast. Thinking that wanna bring le bf to eat some delicious durian rolls at a dim sum restaurant located at Jinjang, so go all the way there. And we're stuck in jam due to Standard Chartered KL Marathon and used about 1 hour to make a big u-turn from Jln Kuching to Jinjang. But everything was worth it when le bf like the durian rolls so much. Hehe. Plan to visit Sunway Pyramid but when on the way, suddenly thought of this Paradigm Mall and decided to change destination at the very last minute. Yeah, wanna see what's so hype bout this mall that everyone's crazy about. Lol. Merely 1030am and the mall is kinda crowded already. Did some shopping over there. Had our lunch at Goku Raku. Ordered a small portion of Goku Raku Ramen and share with le bf because I'm not so hungry yet, just wanna had a taste of it. 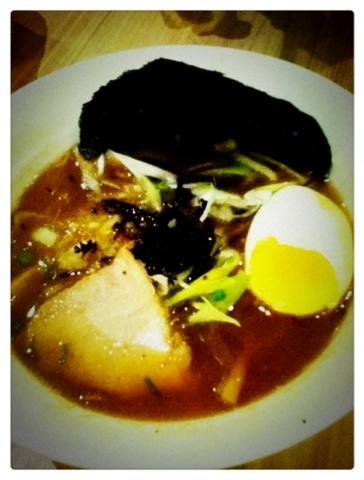 The ramen tasted tad bit too salty, and doesn't really deliver the feeling of a 'secret made broth' kinda feeling to me. Marutama Ramen tasted wayyyyyy better! 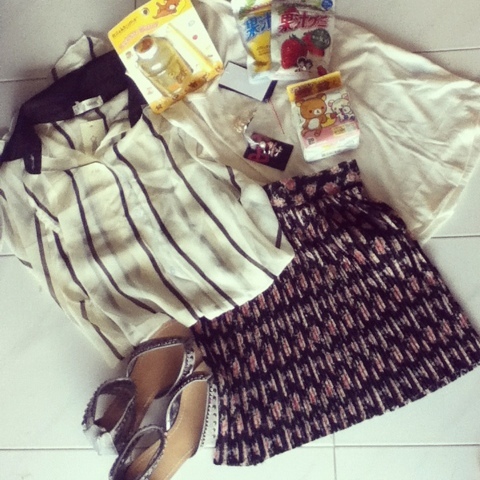 Hop to Leisure Mall after that and bought a stripe long singlet.